My brother-in-law, 83 year old. Had suffered from Alzheimer for about 3 years now, and had been in long term nursing care since mid July. We'll miss him, but he had been mostly 'gone' for some time now. Electronics and electricity, he was the smartest, sharpest guy I ever met and I've met a lot of good ones in those fields. We buried him earlier today. "Leroy John Danek age 83, went to be with the Lord on Tuesday September 25, 2018 after a long battle with Alzheimers. He was born in Dayton, Texas on December 27, 1934 to Minnie Sebesta Danek and John Danek Jr. After graduating Crosby High School, attending UH in Houston and serving in the Army NSA he began a long career. He worked as a Sr Electronics Research Technician in oilfield logging for Gearhart Industries and Schlumberger before semi-retiring and opening the Baytown Lowes Store as a Tool Expert in Tool World. Leroy raised his family in Crosby and moved to his beloved “Danek Country” in San Jacinto County when he retired. His greatest enjoyment in life was his family, which was evident in everything he did. 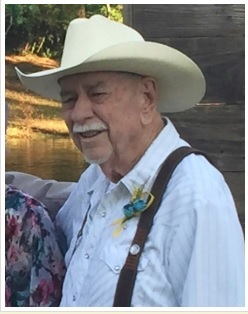 He enjoyed raising cattle, fishing, gardening and electronics repair, but most of all spending time with his family, especially watching them and their children grow up. He was a very quiet, caring person with a good sense of humor and “Mr D” will be loved and missed by all who knew him. He is preceded in death by his parents. Leroy is survived by his beloved wife. Joan York Danek; his children, Joe Danek (and wife Diane), Lea Ann Danek Franta, Daniel Danek (and wife, Lisa); his grandchildren, Danielle Pope (and husband, Will), Ryan Franta (and wife, Krista), Amanda Franta, Dillon and Tylan Danek; his great-grandchildren, Cade, Haygen, Cope and Adalyn. He is also survived by many other relatives and friends"
Sorry for your loss. That's a terrible disease. Sorry for your loss as well, RIP. Sorry terrible terrible disease my family has suffered with it. It gets the care givers as well. Sorry for your loss, GB. slick4591 wrote: Sorry for your loss, GB. Condolences, GB. Alzheimers is a rough road for everyone involved. Very well written obit. Very sorry for your loss... Prayers to you and your family. Thanks all.. we are grieving only in part..........he's not hurting any more, he's not angry any more, he's not confused any more. Visit some nursing homes and Alzheimers patients are almost like the living dead and some in their 50-60s range. Not much gains yet, but hopefully science will find help for this. Sorry for your loss GB as I bet in his heyday that guy was sharp. jltrent wrote: Visit some nursing homes and Alzheimers patients are almost like the living dead and some in their 50-60s range. Not much gains yet, but hopefully science will find help for this. Sorry for your loss GB as I bet in his heyday that guy was sharp. It does push the limits of "for better or worse, in sickness and health" as well. May God bless you and your family. Alzheimer’s is very awful. There are worse things than dying. Alzheimer’s is one of them. Sorry again for your loss. Sorry to hear about your loss GB. As I get older I have to admit that this disease is probably my greatest fear. I'd hate to be here, but not... So hard on families and loved ones. Prayers from us to you and your family tonight. Terrible disease, I'm sorry for your loss. The older I get, the more folks I know that are sick or passing. Life is way to short.